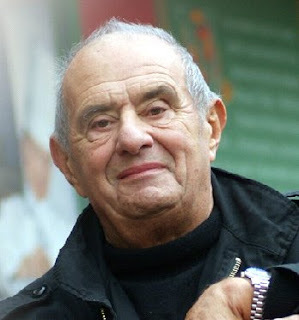 The Frenchman Paul Bocuse credited as the father of modern "Nouvelle Cuisine" and the first of his kind of international TV celebrity chefs, was named "Chef of the Century" by America's leading cooking school on Wednesday. The Culinary Institute of America named Bocuse the top chef of the 20th century, citing the 85-year-old's legendary career in which he transformed both food on plates and the lives of the people who cooked. "He is one of the greatest, most significant chefs of all time," Tim Ryan, president of the institute said at an event with Bocuse in New York prior to the awards ceremony on Wednesday evening. Ryan said Bocuse led the movement in the 1960s and '70s in France that became known as "Nouvelle Cuisine" – The New Cooking Style, and was typified by experimentation, new care over presentation and attention to fresh ingredients. He also brought cooks out of the anonymity of the kitchen and into the media, becoming the first celebrity chef of the modern era. The term ‘nouvelle cuisine’ has been used many times in the history of French cuisine and in the 1890s even the cooking of Georges Auguste Escoffier was described with the term. 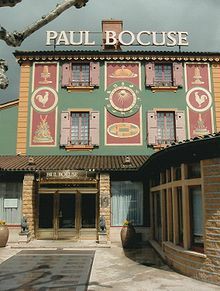 The Michelin Guide elevated Bocuse and his Lyon restaurant ‘L'Auberge’ to its top three-star rating in 1965 and has maintained him there ever since – the all-time record for longevity in that status. “While other cooks gallop after fads – orientalist cuisine, or fusion, or molecular or whatever next – Bocuse, they say, keeps the faith”. Considered a French icon, Bocuse, has said that the secret of success in the kitchen is simple food, simple ingredients and simple cooking. Here is a link to L'Auberge Restaurant Menu. “You can not forget the good ingredients. If there are not good ingredients, there is no good cooking," he said at the New York event, adding: "There is no great or small cooking -- there is only good." His impact on gastronomy has been described as “indelible”. But as for his role in inventing "Nouvelle Cuisine," Bocuse is less than eager to accept the honour, saying the term was a media invention and the cooking was not "some incredible revolution." A rejection of over complicating the dish. Cooking-times for most fish, seafood, game birds, veal, green vegetables and pâtés were greatly reduced in an attempt to preserve the natural flavours. Steaming food became a new trend. The dishes were made with the freshest possible ingredients. Large menus were abandoned in favour of shorter menus. Strong marinades were no longer used to mask the true flavours of meat and game. They stopped using heavy sauces thickened with flour-based roux, in favour of seasoning their dishes with fresh herbs, high quality butter, lemon juice, and vinegar. They used traditional & regional dishes for inspiration. New techniques and modern equipment were embraced. Bocuse even used microwave ovens. By the middle of the 1980’s many chefs began returning to the classical style of cooking, although much of the lighter presentations and new techniques of Nouvelle Cuisine remain to this day. He was not alone in this particular line of thought! Seapoint Restaurant’s new seasonal Menus! Rhubarb & Ginger Jam like my Granny used to Make! LocalMarkets.ie Celebrates National Launch !